A European Commission study into the benefits of ‘Split Payments’ as a VAT collection tool, aimed at battling VAT fraud, has cast doubt on the cost / benefits. The study concludes that the administrative and technology costs of running, tracking and reporting on such a scheme would outweigh any extra VAT recovered. This study also looked over any existing and proposed B2C, B2B and B2G (government) schemes, and regimes paying directly to government or on a withholding basis. The study does leave open the option of better use of technology to overcome the heavy interventions required and resultant costs. The study also examined the legal framework for introducing ‘Split Payments’ in the EU. It is uncertain if the ‘EU VAT Directive’ alone could be used, since it would include a requirement on payment companies and/or banks to process such mechanisms. EU Member States lose up to an estimated €50 billion per annum due to VAT fraud. ‘Split Payments’ is one mechanism being suggested by the EU to help combat this. The scheme would require B2B customers to pay the VAT element of a sales invoice directly to the government, instead of to their supplier. Thus, cutting out the opportunity for misappropriate VAT in the supply chain. It would be intended to in particular to combat missing trader fraud, whereby sellers claim to sell cross-border at zero-rated VAT, but actually sell domestically with VAT which is then pocketed. Italy already operates a limited, but successful B2G ‘Split Payment’ regime. Poland and Romania are considering a variation whereby the supplier sets-up a controlled VAT Bank Account for receipt of the VAT element. This account is supervised by the tax authorities who can make debits. While the UK is considering such a scheme to combat VAT fraud on B2C eCommerce, which is estimated to cost the country up to £1.5 billion per annum. The European Commission is considering granting much more flexibility to EU Member States in setting their own reduced VAT rates. The proposals could be implemented in 2022. In a proposal possibly due out very soon, Member States could set reduced rates at 5% or zero on a broader range of goods and services. Only a small range of goods or services would be excluding from the new, reduced rates option. These could include oil and gas, plus alcohol and tobacco. 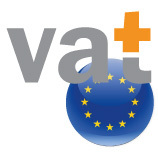 Presently, only listed rate derogations for goods or services granted in the EU VAT Directive, or those negotiated on Member States’ accessions, may be applied. The EU would continue to limit the number of reduced rates – only 5% and nil. Member States with previously agreed rates could maintain them. Member States would be required to sustain their new reduced and standard rate (which must currently be 15% or above) at a blended rate of 12% or above. This aims to stop countries aggressively cutting rates to attract consumers border-hoping for purchases.